Beautiful girls dress for a special occasion! 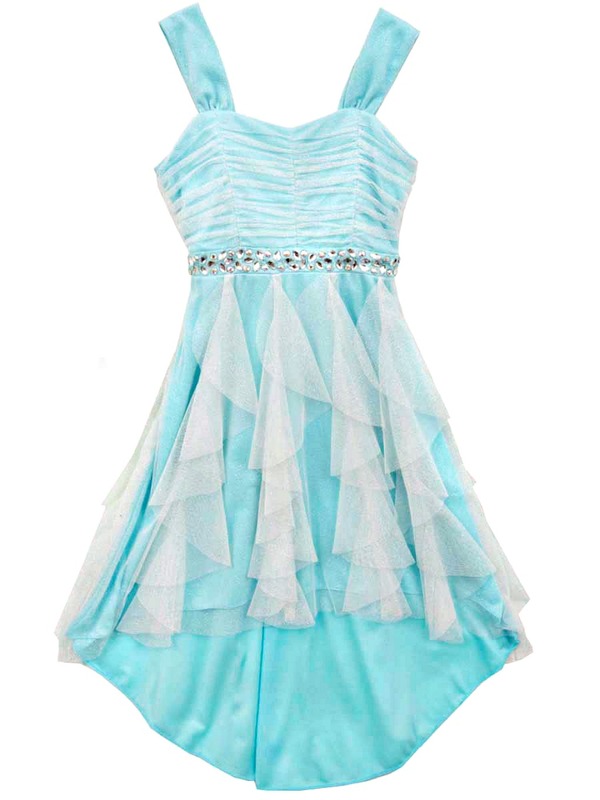 Stunning aqua blue hi low dress features soft white chiffon overlay, jeweled bodice and square neckline. Very elegant! Back zip closure.